I love meeting new families and photographing them for lifestyle family sessions! 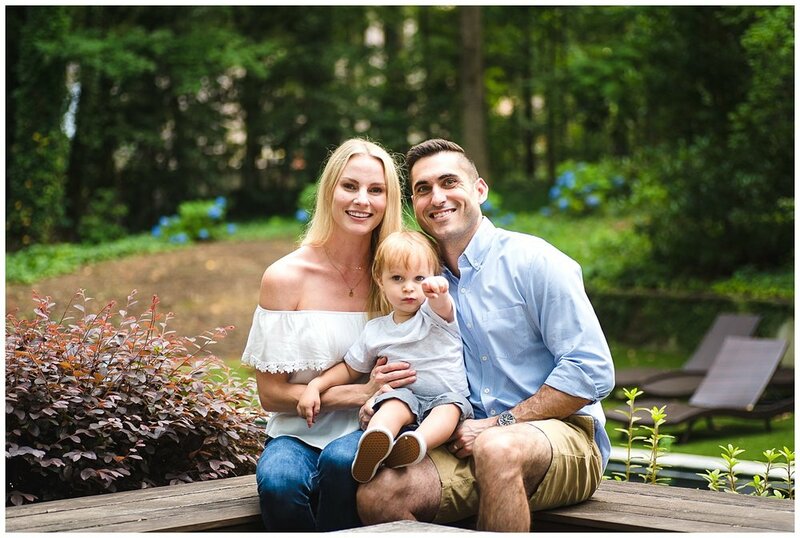 Typically families reach out to me to welcome a new baby, celebrate a birthday, or because they want some updated blog/business portraits but I think summer is the perfect reason (and season) to have family photos taken! That's right, you don't have to wait until a holiday to take family photos! I hadn't met Dad until today but I had taken Mommy and Me photos of Cole and his Mama and you can tell they have so much fun together. I love taking photos of families doing what they love to do. 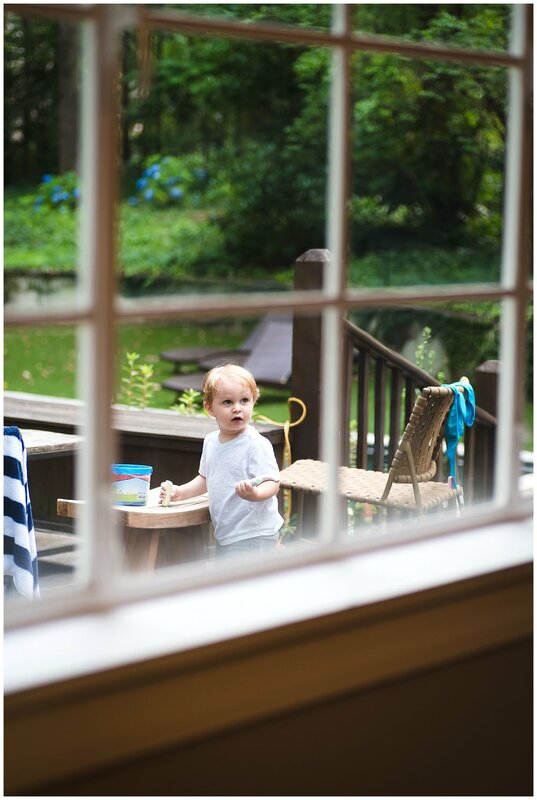 In this case, this little guy is so into rocks and throwing them into the pool (sorry Mom and Dad) so I wanted to incorporate that into our lifestyle family session. 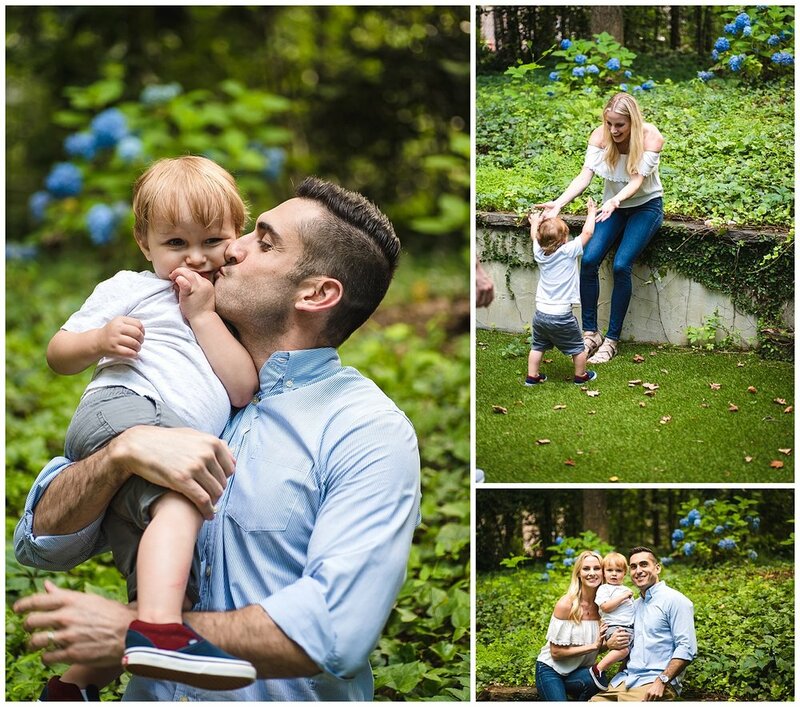 Of course during these lifestyle family sessions, there's always room for snuggles, hugs and kisses too. This little guy also loves chalk so I definitely wanted to capture the little artist at work. I hope you enjoy these photos as much as I do! Interested in booking a family session? Head on over to my contact page and send me a message. I also have a FAQ page to let you know what to expect. Interested to see what else I offer? Head on over to the blog!